GRIAA’s book, Immigration Histories of Rockford Italian Families, has been available for purchase since August, 2017. The response has been tremendous. Since the book’s debut, I have been asked whether there will be an opportunity for families who are not in the book to submit immigration histories for inclusion in a second edition. The answer is yes. But, only for a limited time. Mike Doyle, lead editor, and I expect to collect and edit histories for at least a year. And, debut the second edition of the book for sale at Festa Italiana 2019. The immigration history must be no more than 825 words. A history in excess of the word limit will be returned. The history must be typed and sent via email in Word format. We will publish up to two photographs. Photographs must be sent via email in jpeg format. The second to last paragraph of your history should describe who is depicted in each photograph and the year or approximate year the photograph was taken. Photograph wording will not be counted against the 825 word limit. The name of the author and the date sent must be included. Send history in Word format and photographs in jpeg format to Frank Perrecone at frankaperrecone@aol.com. Please ask for a confirmation of receipt. In your email, please include your name, telephone number and address. Before sending your history and photograph, please reread the above requirements for compliance. After writing the immigration history and caption for the photographs, please proof read carefully. I strongly suggest after the history is written but before it is sent, you reread the history several times over the course of a few days. Once histories are submitted revisions will not be accepted. We will edit for grammar, spelling and consistency. For a helpful Family History Form to assist you in organizing and writing your family’s immigration history, go to GRIAA.org, click on the Culture and Education Committee link and scroll down. You will also see several examples of family histories that are published in our book. From time to time I have been asked by Rockford area Italian-Americans why their family is not included in Immigration Histories of Rockford Italian Families. Regrettably, I had to inform them because no one from their family submitted the information to us. Don’t be disappointed a second time. 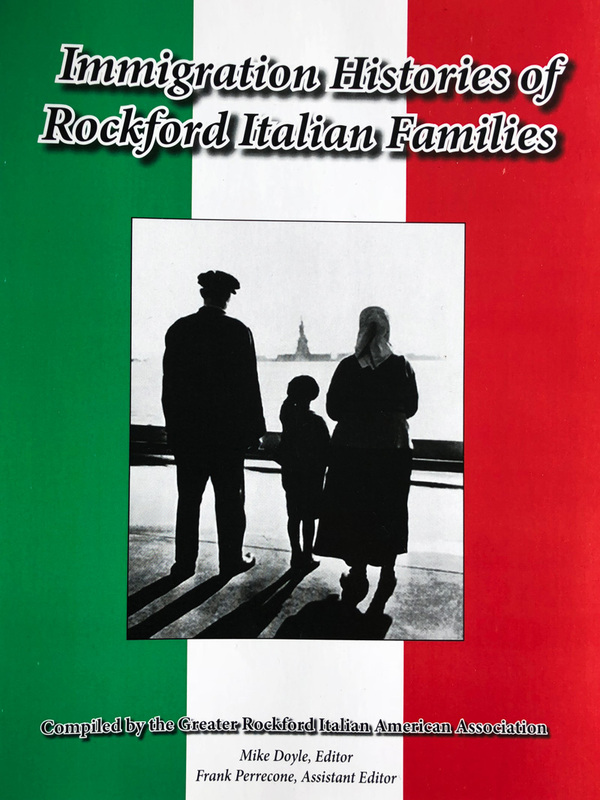 Be part of Rockford Italian American history by providing us with your family’s immigration history for inclusion in the second edition.